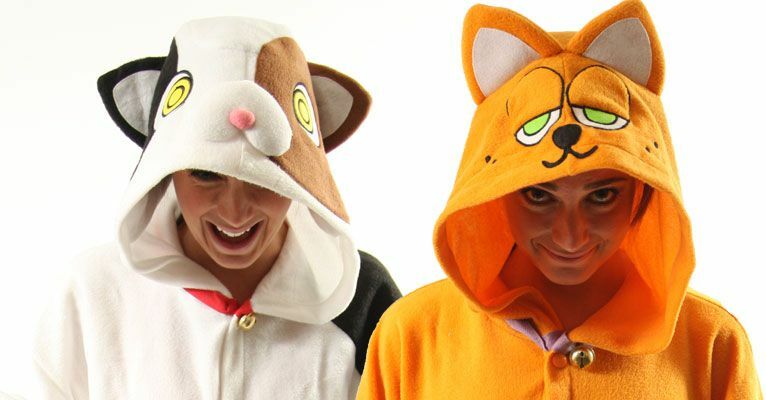 We've got not one but two new cat kigurumi onesies in stock this week. One is a tortoiseshell cat with some warped up-all-night-on-catnip eyes; the other is a ginger Garfield-esque sleepy cat. Both have collars with bells on and both are made of a soft polyester fleece. You can find them both, and all of our other cat related costumes and clothing, on Cat Costumes page.